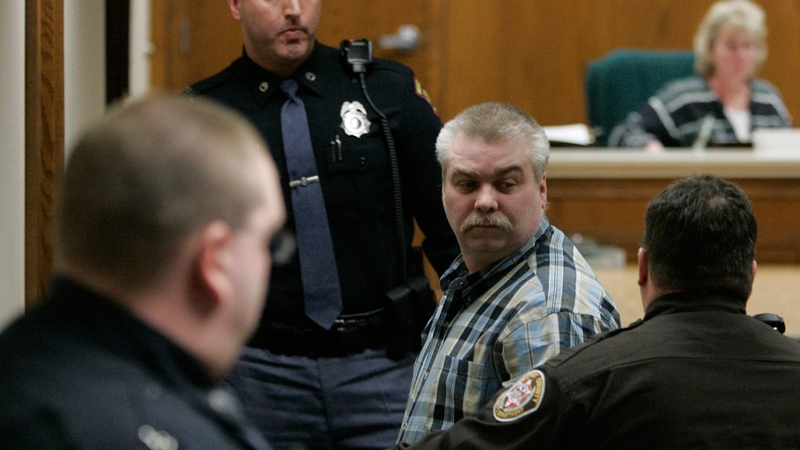 Steven Avery leaves the courtroom in the Calumet County Courthouse Sunday, March 18, 2007, in Chilton, Wisconsin. The popularity of the Netflix series "Making a Murderer" has resulted in a barrage of requests for records in the homicide case. The custodian of those records, the Manitowoc County Clerk of Courts office, has been inundated with inquiries from local citizens as well as others from across the country who want to see the transcripts, exhibits and other documents from the Steven Avery murder case. The demands have gotten so overwhelming the office has now assigned an employee to exclusively handle the Avery requests so other workers can get regular work tasks completed. Clerk Lynn Zigmunt says there are more than six banker boxes of material. On Wednesday a woman from Australia requested copies of the trial's entire transcript, and at $1.25 a page. She will be billed $6,000, Zigmunt says. Zigmunt expects the requests to wane in the future because someone who has purchased the documents will likely put them online. The 10-part documentary series casts doubt on the legal process in the case of Avery and his then-teenage nephew Brendan Dassey, who were convicted of killing 25-year-old photographer Teresa Halbach in 2005. The 53-year-old was also wrongfully convicted of sexual assault in 1985 and imprisoned for 18 years before DNA evidence exonerated him in 2003.